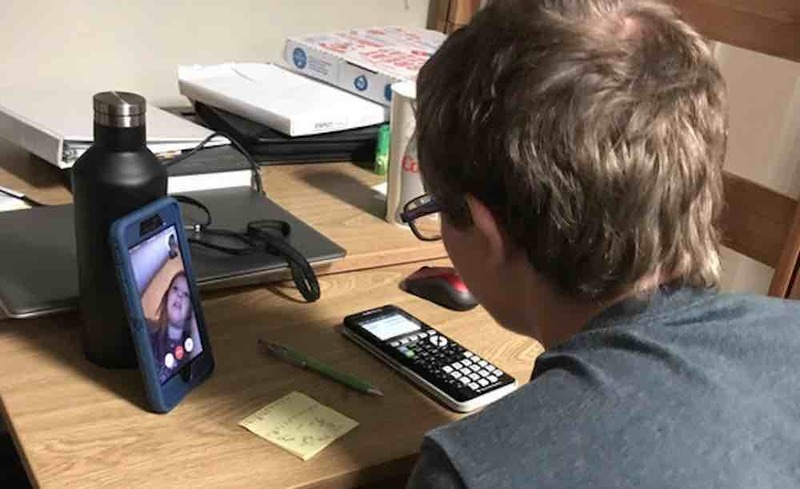 Reddit user TheRylan posted a photo of his college roommate FaceTiming with his younger sister in front of a calculator and a Post-it note of scribbles. According to TheRylan, his roommate calls his sibling every week so he can help her with her high school algebra homework. While the gesture may seem trivial for a family member, college classes can be incredibly time-consuming – the fact that the roommate is ensuring that he has enough time in the day outside of his coursework to help a sibling in need is wonderfully endearing. The post went viral and prompted another user to share his own life-changing experience about sibling love. “My sister’s favorite memory is how I would cook the 3 of us grilled cheese for lunch during the summer and cut them into as small of pieces as possible, like little grilled cheese bites,” he added. “Taking care of my sisters was hard, especially with how our upbringing was, and knowing that I helped shape their lives and make them better people, rather than just thinking it, was a validation I never knew I needed until I had it,” says Gothamhunter. Another user simply said that TheRylan’s roommate has gotten himself a new well-deserved nickname: “Algebro”.